Mono GPC resin is designed for high resolution separation of synthetic polymers. The porous resin is made of highly cross-linked polystyrene divinylbenzene (PS/DVB) polymer with narrow-dispersed particle distribution. The uniformed pore size distribution provides accurate linear relationship between the retention time and molecular weight during the separation. Highly cross-linked porous PS/DVB also provides excellent chemical and physical stability, so the molecular weight calibration curve and column efficiency show minimum change with different organic solvents. With large pore volume, Mono GPC resin offers high resolution for polymer separation. Mono GPC resin is available with single pore size or multi pore sizes mixture. 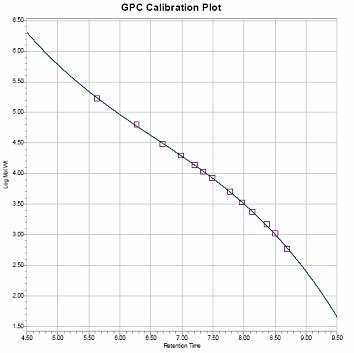 Mono GPC could be used to analyze conventional polymers with molecular weight up to 2,000 KD for both analytical separation and preparative process at elevated temperatures.